How about the stylus? Does it has one or is it the Korean version with antenna? lg won hundred redot & if design awards and other design recognition internationally. 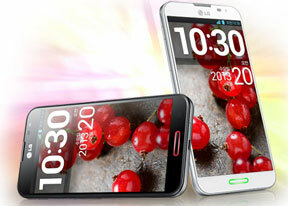 optimus g pro is the new king of phablet ! samsung phones are just popular , but doesn't mean to be good! lg is the best forever. im proud and satisfied with my newest lg optimus g.
i received update jb from ics. impressive camera & battery life! superb phone IN THE WORLD! this phone is the best ! I believe the LG otimus pro could successfully mount a challenge to both Samsung's Galaxy S4 and the iphone 5/6. i have laptop Dell M13 but battery its unserviecable,any idea how to order. Rumour has it that Optimus G2 will be running on an octa-core 1,9ghz odin processor 3Gig RAM!!!!!!!! THAT IS CRAZY!!!!!!!!!!!!!! !